For the last few weeks, Hemie has been really fantastic during lessons and practice rides, especially for dressage. It’s hard to describe, but mostly it comes down to his attitude. He’s willing. He’s interested. And most delightfully: he’s curious again. He’s looking at dressage like a puzzle to figure out. He’s not getting frustrated or annoyed – he is putting his thinking cap on instead. Its been months since I’ve felt him do this and it’s very encouraging as we introduce some new movements, such as trot-lengthen. I don’t know if something clicked for him at one of our last 2 shows, or if my new focus on my positioning and body is having more of an impact – but in any case, I’m very pleased with our rides lately. Our lessons have been focusing on straightness of shoulders as the ticket to self carriage and more thoroughness. 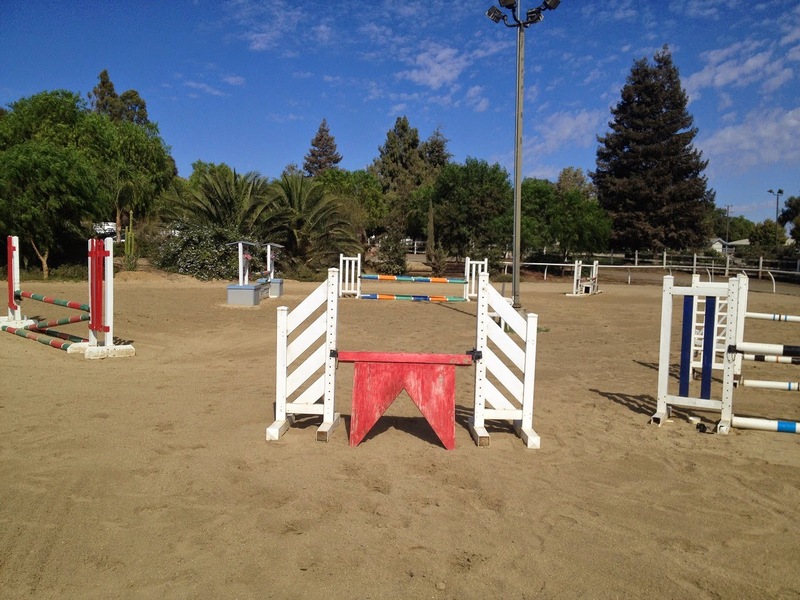 Jump lessons continue to get more and more exciting. Laurie’s goal is to have me feel ready for Novice level next year, so the jumps are getting raised and the tougher questions are being asked. Hemie LOVES it. Meanwhile I need to work on my courage and lower legs! Two-pointober update: I got 4:35 seconds last week. I try to get at least 30 seconds of improvement each week, so I hope to break 5 minutes this week. I’ve also ridden another horse lately. Harry is an OTTB that’s night-and-day different from Hemie, which makes riding him even more instructional for me. He’s gotten the benefit of full training for months, so he’s come a long way in a relatively short time. He starts off as a super slug, so the first few minutes is just getting him in front of your leg. Then when you ask him to get on the bit, you have to really take a hold and expect it to happen – and it does! Riding Harry has helped me understand Laurie better – she asks me to ride Hemie like she trained him. And riding Harry is teaching me what that really feels like. Bending line from white gate to red boxes, then left turn over the logs, through the water and up a bank. Circle right, then down the bank, then turn to the 3′ one-stride line. 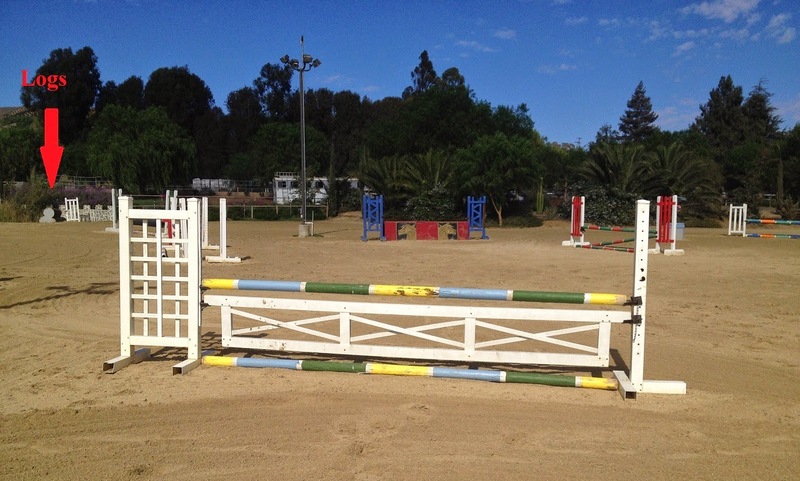 Finishing with skinny to square oxer. We also did our first hogs-back oxer the other week. I thought it was intimidating but Hemie thought “no problemo”. He really does love the more technical jumping questions. 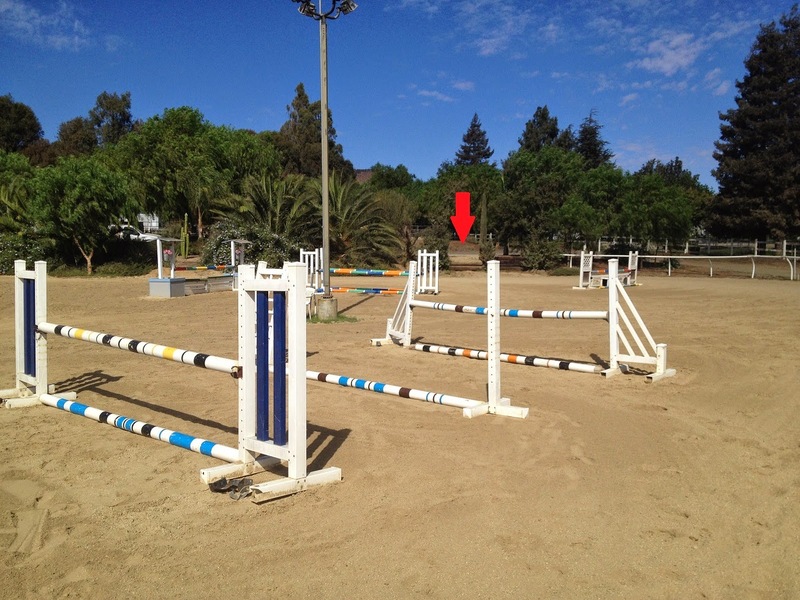 I glad things are going so well lately, and wow, those jumps look big! Great job with everything. 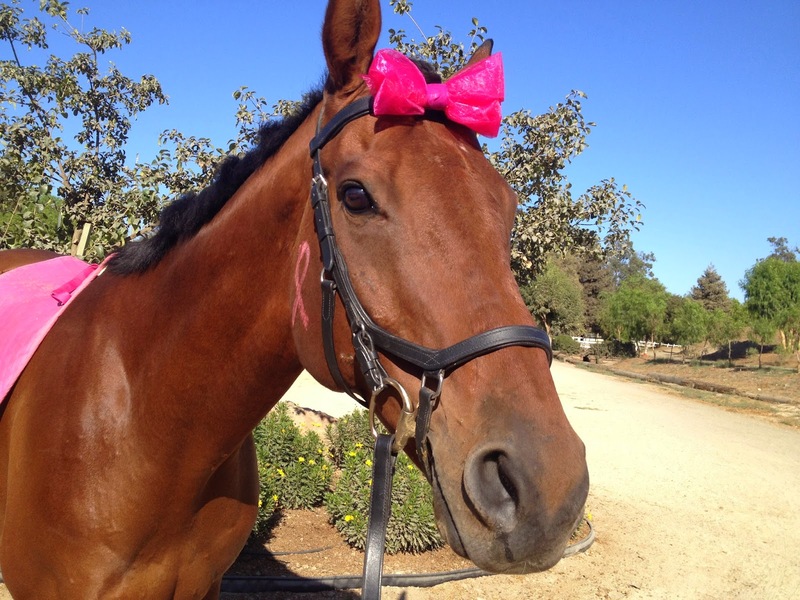 Hemie looks cute in pink. Wow! 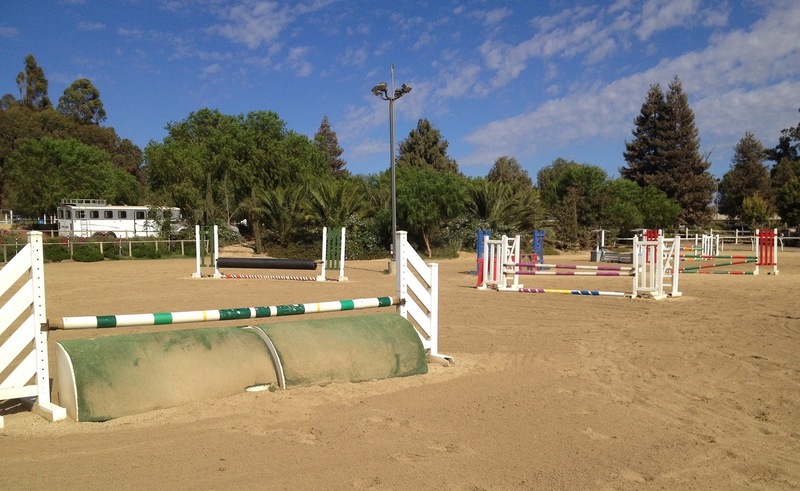 Such fun looking jumps! Thanks! Yes – fun in a racing-heart-beat kinda way! Yeah it was nerve wracking LOL. Yeah the facility has nice variety. Thank you and welcome! I have friends in Sweden but can't read Swedish so I'm using a translator to read your site!